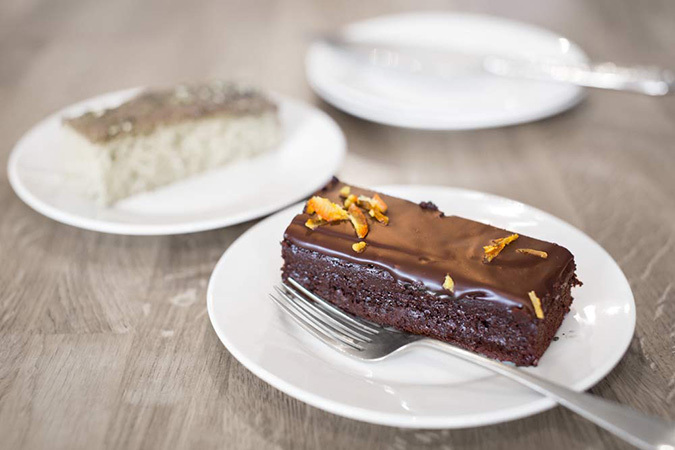 We combine the finest 72% Belgian chocolate, ground almonds and orange to create this remarkable sponge. We top it with a wicked dark chocolate ganache and finish with carmelised orange zest. 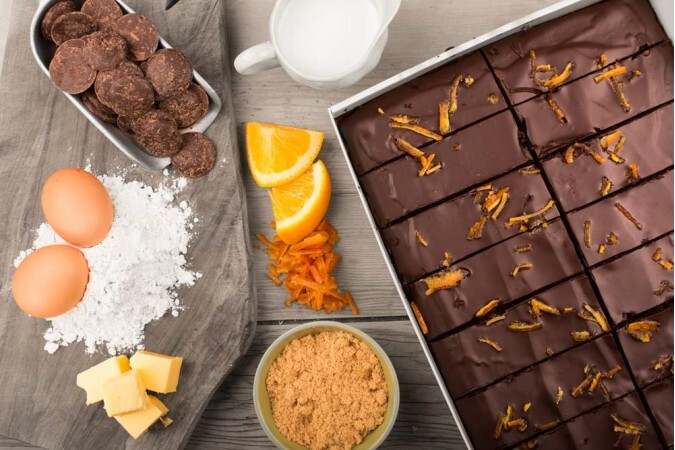 Sponge (87%) (sugar, free range egg, salted butter (milk), oranges (15%), dark chocolate ((cocoa mass, sugar, cocoa butter, soya lecithin, natural vanilla) min cocoa: 70.0%)), reduced fat cocoa, flour blend (rice, potato, tapioca, maize, buckwheat), ground almonds, raising agent), ganache (12%) (cream (milk), dark chocolate ((cocoa mass, sugar, cocoa butter, soya lecithin, natural vanilla) min cocoa: 70.0%)), plain chocolate ((cocoa mass, sugar, soya lecithin, natural vanilla flavouring) min cocoa: 50%), caramelised orange zest (sugar, orange zest, water) (1%).